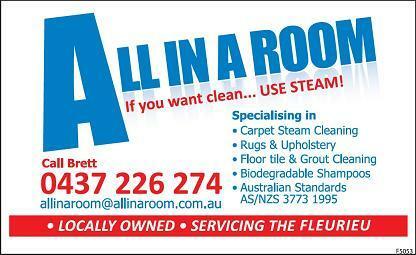 All IN A ROOM is your friendly local business to call for quality carpet steam cleaning from Goolwa to Victor Harbor & surrounds. Brett Nottage runs ALL IN A ROOM and guarantees great service and a professional job. If you want clean….USE STEAM! 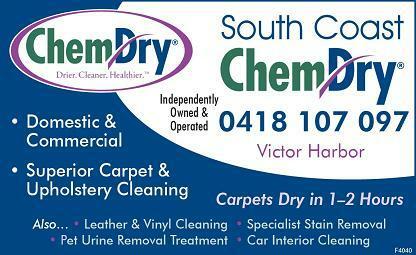 Carpet Cleaning & Upholstery Cleaning in Victor Harbor and throughout the Fleurieu. Also Leather & Vinyl Cleaning, Specialist Stain Removal, Pet Urine Removal Treatment, Car Interior Cleaning.